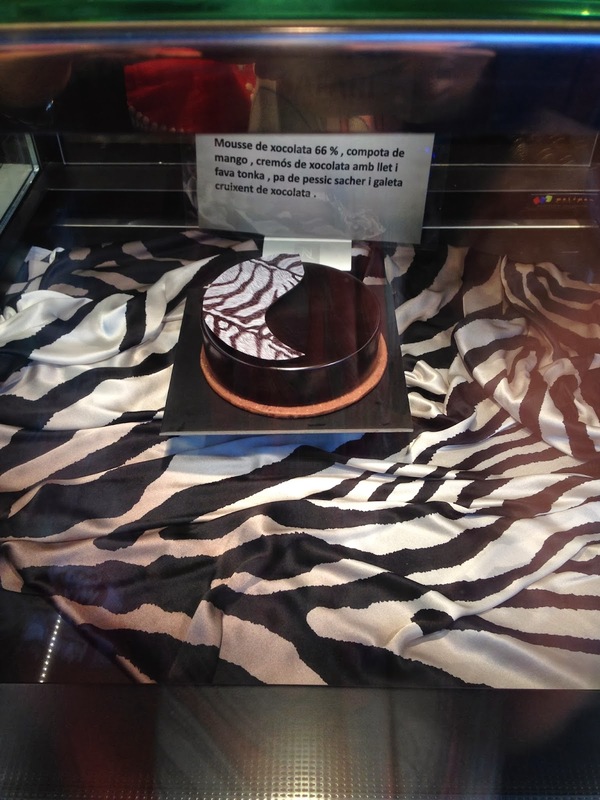 La Pastisseria de Barcelona with the world champion! 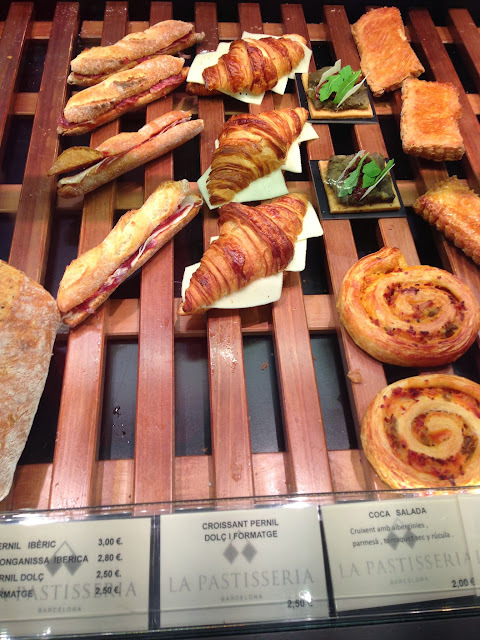 Who doesn't like a nice pastry with a warm coffee? Josep Maria Rodríguez Guerola, the world champion of the "Coupe du Monde de la Pâtisserie" in 2011 has opened "La Pastisseria" in Barcelona. Thanks to this young champion and his team, Spain got their first title in this competition. Josep Maria has felt the attraction towards baking since very young. He has studied in the Escuela Hofmann, has done workshops in the famous Foix de Sarria or Oriol Balager; and of course has traveled to Paris and worked in La Patisserie Fauchon. Now, with the support of his family, he has opened this lovely Pastry store, where you can go and have a coffee or tea and exquisite pastries and pies. The cherry mousse, chocolate, mojito or cheesecake. Mille feuilles, the caramelized Lionesa, St Jordi rose and the Massini. Different pies as the Tatin or the Passion fruit pie. 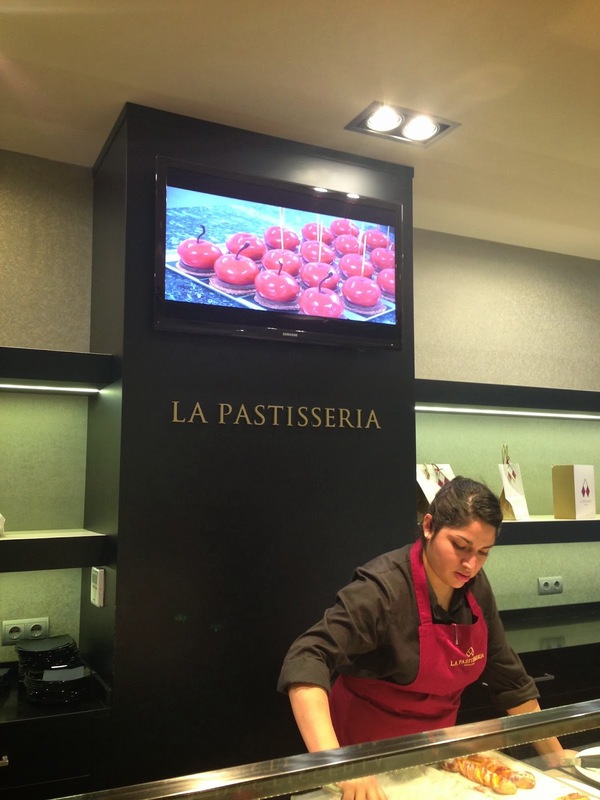 On the screen , La Cirera, the signature cherry mousse of La Pastisseria. Cappucino Croissant or Crème Brulée Croissant! with hot tea on a cold day! World champion Josep Maria with his dad. Labels: Sweet Caprice, Tea Time!